MBox is the original and ancient format for storing mail on Unix systems, it consists of a single file per user under /var/spool/mail that has messages concatenated. Obviously, performance is very poor when deleting messages from a large mail store as the entire file has to be rewritten. Maildir was invented for Qmail by Dan Bernstein and has a single message per file giving fast deletes among other performance benefits. Maildir mail storage speeds up the functionality of the mail server and reduces memory usage due to mail related processes. Multiple processes can use maildirs at the same time. 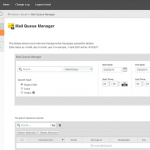 It is time to convert Mbox accounts to Maildir on your cPanel server. You cannot send or receive mail while the server is in the conversion process. Try to run this process at an off-peak time. Use the following ssh command to access the Mail Directory Conversion System. 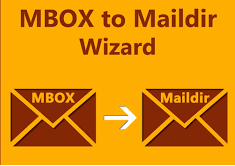 Enter 1 to convert your server from mbox to the Maildir storage format with Courier as the mail server. Enter 2 to convert your server from mbox to the Maildir storage format with Dovecot as the mail server. Once completed, If you will have any issue with webmail, run below command to fix it.